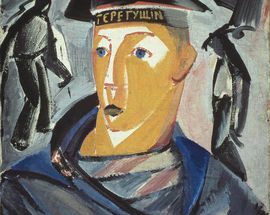 When the Bolsheviks took power in October 1917, many artists flocked to the cause, taking up official positions on behalf of the new government and putting their talent at the service of a regime that promised a glorious future. At that moment it seemed possible that revolutionary idealism and avantgarde thinking might come together and produce the art of the future. New forms of art corresponded with an atmosphere of searching and a determination to move from bourgeois to more simple and democratic art. After a brief period of flourishing and optimism, however, came the Russian Civil War with all of its suffering, tragedy, hunger and sickness. During those difficult times, Belorus turned out to be an oasis to which many fled to avoid hunger and death. Vitebsk native Marc Chagall returned home and brought with him Kazemir Malevich, Vera Ermolaeva, Ilya Chashnik, Lazar Khidekel and others. 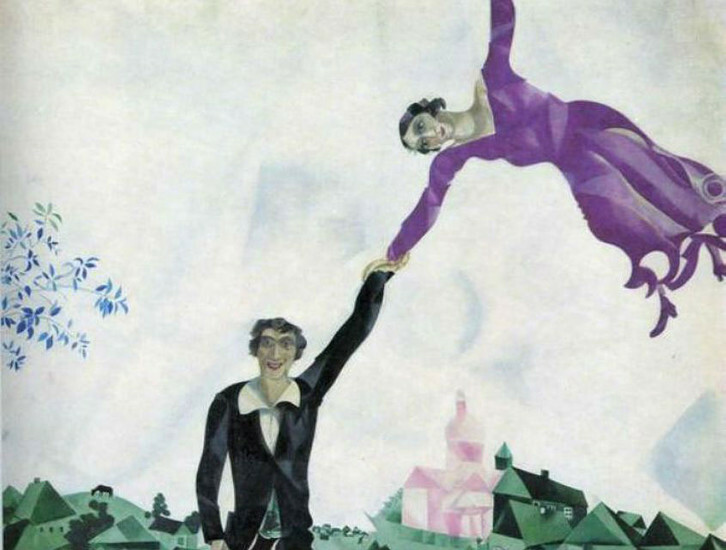 Together they beautified the city in time for the Revolution’s anniversary: Vitebsk was full of Malevich’s circles, squares and lines and Chagall’s flying people. 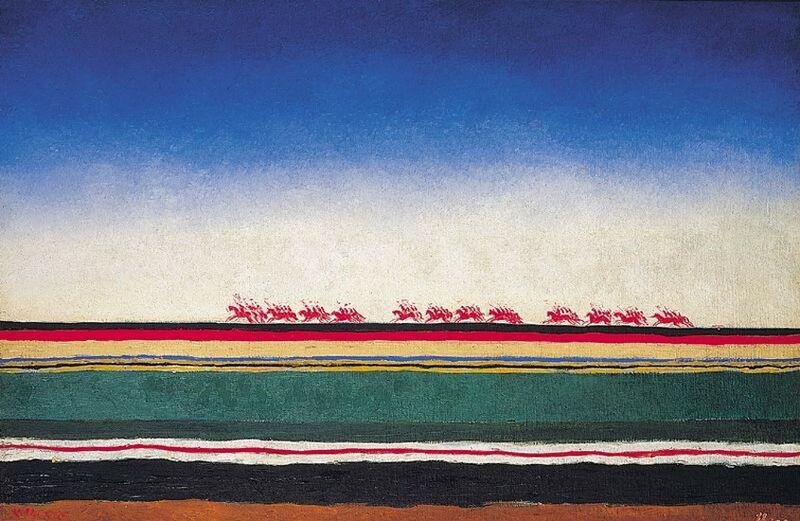 Vitebsk was a hub for suprematists. Around the end of the 1920’s, Malevich produced a series of paintings dedicated to peasants. He represented their fate metaphorically: faceless heads sometimes painted in alarming black or red colors. They appear to be martyrs and heroes who are prepared to be transported to a new church-like setting: the so-called palaces of culture. This series coincided with the repression of the peasants. Around the same time, Pavel Filonov, a prominent avant-garde painter, art theorist and poet, also started to face difficult times. 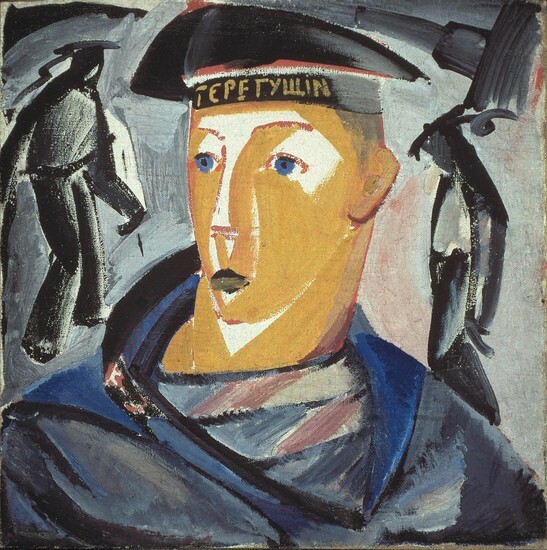 Although he was probably one of the most proletariat artists of his time, in 1929, a large retrospective exhibition of Filonov art was planned at the Russian Museum, however the Soviet government forbade the exhibition from going forward. From 1932 onward, Filonov literally starved but still refused to sell his works to private collectors. The works of Alexander Drevin and his wife Nadezhda Udaltsova demonstrated a sort of self-isolation of from the tasks of the working class. Drevin often painted “brutal primitivism”, lacking any political message or any purpose at all. His paintings have been compared to those of Vlaminck. Drevin’s paintings intentionally were empty of illusionism and decorativeness. After a period of constructivist abstract painting, his style became progressively more realistic during the 1920s. 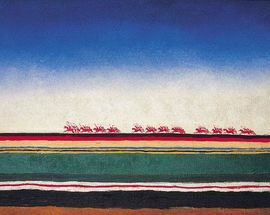 In 1932–33, Udaltsova’s contributions to the exhibition of “Artists of the RSFSR Over the Last Fifteen Years” were publicly criticized for so-called “formalist tendencies”. Figurativist painters attempted to be favored by the authorities by embracing topics like labor and sport, but their works were almost never displayed to the public until the late 1970’s. Hidden by families, museum foundations and some private collections, works by artists who were active between 1910 and the 1930’s were put on public display only relatively not long ago. And this is when it became abundantly clear that those artists’ dreams of a better future turned out to be a mirage. But the inspiration they drew from those times produced some of the most passionate and genuine artworks of the first decades of the 20th century. 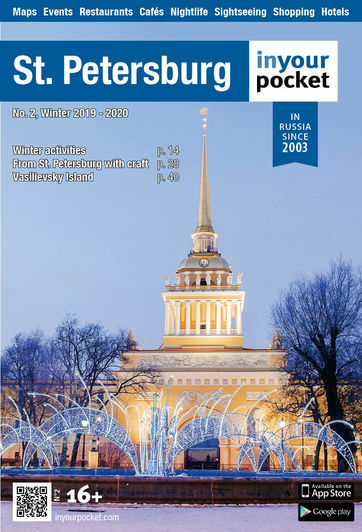 For the Russian art the place number one to visit is the Russian Museum.